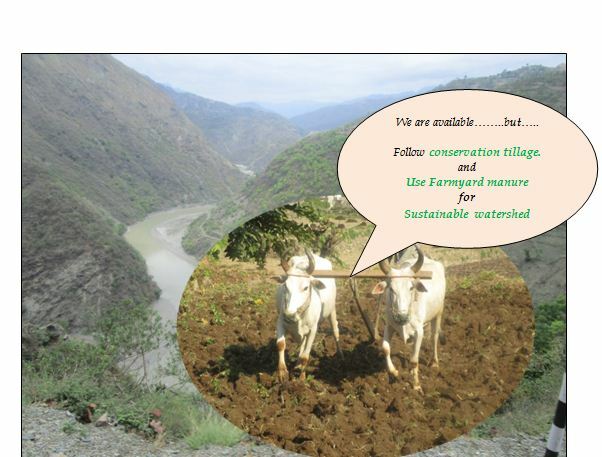 Sustainability factor is of prime importance in any watershed project. It is common that the impact of watershed seems promising till the project period is on. But once the project completes its project cycle, the impact gets overshadow with time . That’s why “Sustainability” is the real challenge in a watershed project .For addressing the sustainability issue, it is important to focus on promising watershed interventions with judicious use of available natural resources .The focus should be right from the initiation of a watershed project. Agriculture is main occupation of families residing in watershed .Sustainability is link to conservation of existing natural resources. To conserve the natural resources, it is important to take up watershed interventions in such a way that there is minimum loss of existing and available natural resources .This way the livelihood opportunities through agriculture can be enhanced and hence can further be maintain on sustainable basis. Soil management is key to sustainable crop production. There are many such technologies and management practices through which the sustainable agriculture can be channelized in watershed. Watershed management has the capacity to provide sustainable livelihood opportunities especially to the farmers in watershed.